Red Raspberry Seed Oil 100% Pure: Unrefined Pharmaceutical Grade A is Unrefined, which means it is in the purest form that it can possibly be in. 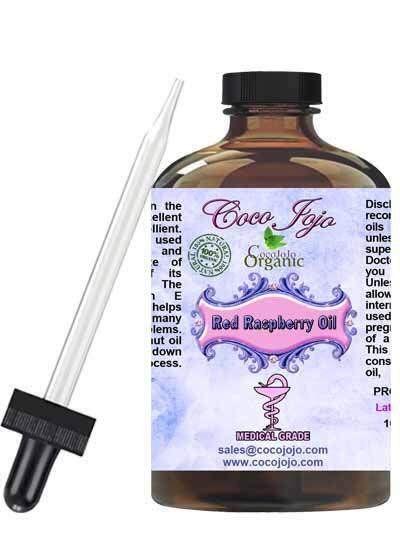 Red Raspberry Seed Oil 100% Pure: Unrefined Pharmaceutical Grade A is a potent skin healer. It is anti-inflammatory, hydrating and protecting. If you are looking to get your hands on some, then I have a recommendation for you. This is an excellent quality oil that I have had the pleasure of using. It has an amazingly subtle, sweet scent. The company that makes it specializes in Red Raspberry Seed oil and they process the oil in small batches a few times a year to make sure that you are getting a potent product. Red Raspberry Seed Oil 100% Pure: Unrefined Pharmaceutical Grade A is often used in cosmetic preparations as an addition to face creams, lotions, balms, serums and oils. Red Raspberry Seed Oil 100% Pure: Unrefined Pharmaceutical Grade A makes a nice addition to sunscreen products.